Congress’ most recent move comes as part of the 2019 Pentagon spending bill that both chambers are expected to consider later this month. 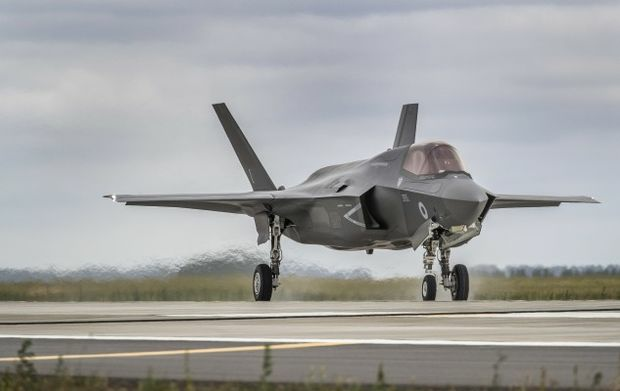 Transfers of the F-35 would be held back under a compromise struck on the spending bill for the next fiscal year, according to Rep. Kay Granger (R-Texas.). An Royal Air Force F-35 Lightning from 617 Squadron taking off from RAF Marham to join the RAF 100 centenary flypast over Buckingham Palace during RAF 100 celebrations on July 10, 2018 in London, England. The Pentagon spending package follows closely provisions included in the 2019 defense authorization bill which President Donald Trump signed into law Aug. 13 (Public Law 115-232), Granger told Bloomberg Government. Granger leads the House Appropriations defense subcommittee. The move reflects the tensions in U.S.-Turkish relations. Defense Secretary Jim Mattisin a letter this summer had warned Congress against cutting off transfers of the F-35, because it would risk triggering an international “supply chain disruption” that would drive up costs and delay deliveries of the fighter. The post F-35 Jets for Turkey Held Back in Compromise Pentagon Bill appeared first on Bloomberg Government.